Taking three of the top five spots, New Hampshire is the king of grooming out east. 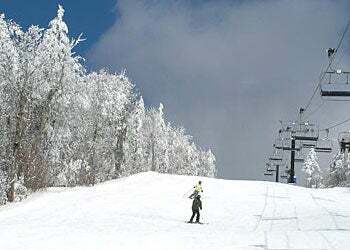 Bretton Woods swapped spots with Mount Sunapee to take the number one spot this year, and Okemo rounded out the podium in third. "Beautiful views and intermediate groomed run nirvana! You can really rack up the miles here." Photo courtesy of Bretton Woods. Check out the Resort Guide 2018&apos;s top 10 resorts in the East here, and the resorts in 11th through 20th here. The results of our reader-ranked survey of the top 10 resorts for grooming in Western North America.